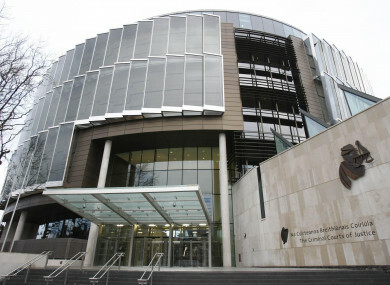 A 30-YEAR-OLD man has pleaded guilty to murdering a mother-of-four in Waterford last year. Danny Whelan, of no fixed abode, was due to go on trial at the Central Criminal Court this morning, charged with murdering Samantha Walsh in an apartment in the city. However, when his case was called, Mr Justice Michael White was informed that a jury would not be required. Bearded and dressed in a striped shirt and blue tie, Whelan stood to be arraigned. When the charge was put to him, he admitted murdering the 31-year-old on or about 28 April, 2017 at an address in Thomas Court on Thomas Street. Justice White directed the preparation of a victim impact statement. He remanded Whelan in custody for sentence on a date not that has not yet been finalised. He will receive the mandatory life sentence. Email “30-year-old man pleads guilty to murdering mother-of-four Samantha Walsh in Waterford city last year”. Feedback on “30-year-old man pleads guilty to murdering mother-of-four Samantha Walsh in Waterford city last year”.